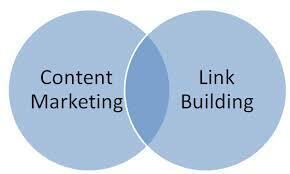 3 Possible Reasons Why Your Content Isn’t Attracting Links? Consider this: You’ve got the content and you’re faithfully posting regular and relevant topics every week that lines up with the niche of your site. That’s good. But, you also aren’t getting any backlinks to your content. And considering that backlinks can really amp up your SERP rating, this is not so good. But, you also have no idea why you’re not attracting links, and you don’t know what you might be able to do about it. Check your old posts. Update the information in it so that it is relevant and ensure that it’s checked and fixed for any flaws. Also, when creating new content, ensure that your topics are relevant and well-written. Maybe you’re not promoting your content on social media enough. Or perhaps you’ve ignored sharing your old content on social media because it was shared months or years ago. Well, how will people find your content if you don’t promote it? Always, always promote your posts on social media. And often. Even if you’re re-sharing old content multiple times on numerous social media sites, do it. Flaunt your content so people can find it. You’ve approached many websites for backlinks but have come up empty despite your efforts. Consider that maybe you’re looking at the wrong niches and websites for your content, or that you’re creating the wrong kind of content for your niche. And then either find the right niche sites for your content or re-structure your content to fit those websites’ niche.